William Danemann established the firm in Northampton Street, Islington in 1893 and this picture dates from the late 1940s or early 1950s. The men have reason to look pleased with themselves; from the 1950s Danemann was one of the largest London manufacturers of grand pianos. A concert grand was ordered by the new Royal Festival Hall in 1951 and ‘boudoir’ grands could be found in found at British Embassies in all parts of the world. Perhaps the firm was best known for the school uprights that were made in their hundreds for education authorities, including the old London County Council. 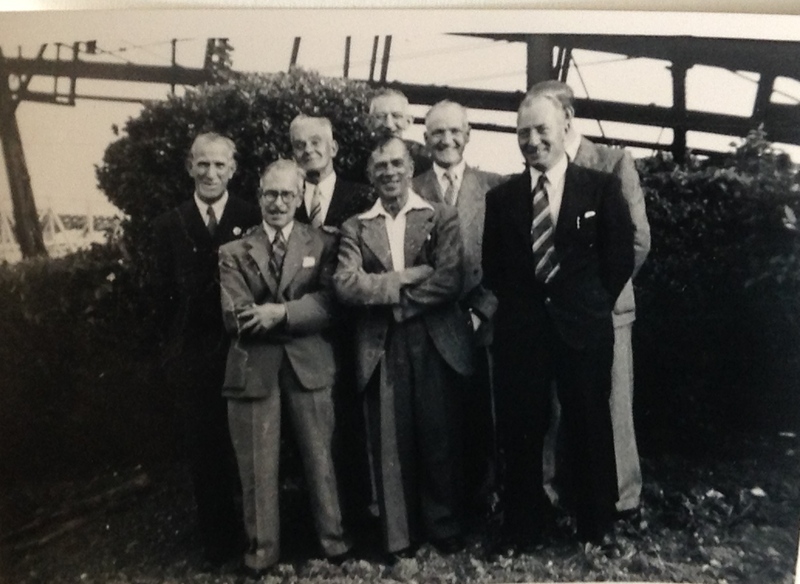 The chap in front with the specs and moustache is my father – Tim McCarthy; behind him (2nd left) is, I think, Charlie Samuels with Sid Smith (?) on the right in the striped tie. This entry was posted in Hidden Histories and tagged Danemann, Islington, Piano manufacturers. Bookmark the permalink.